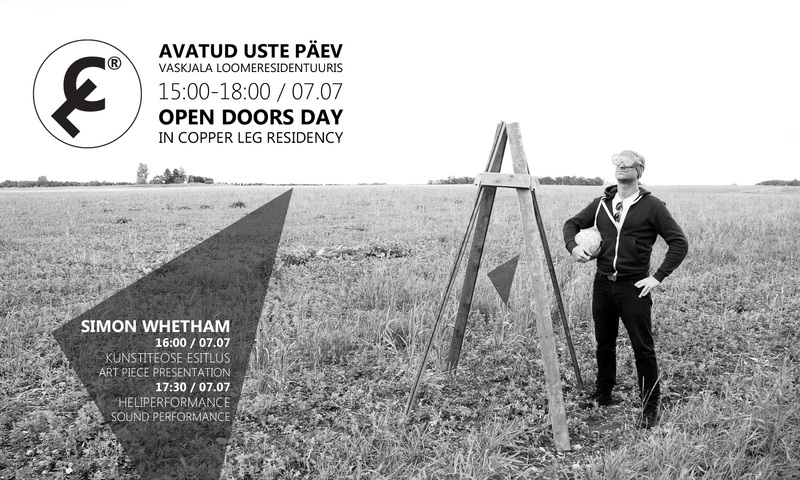 You are invited to explore the residency space, experience performance, and to participate in two exhibition openings. Anita is a photo artist from Austria, she has been in recent years, mainly visiting art residencies in Japan, Korea, and China. For her analog black-and-white photographs, she has developed photo staging style which involves Asian clothing costumes made out of calligraphy books. In the configuration of her portraits, she stages portable paper sculptures, masks, and moulages, symbiosis from beeswax and religious texts, which as knowledge prostheses offer the protagonists camouflage, protection, and chance for allegorical incarnation. At Copper Leg Art Residency she starts her project “Zeitgeist” using on-site footage for her creation of an out of time “Wunderkammer” which serves as a basis for black-and-white analog portraits of local residents. 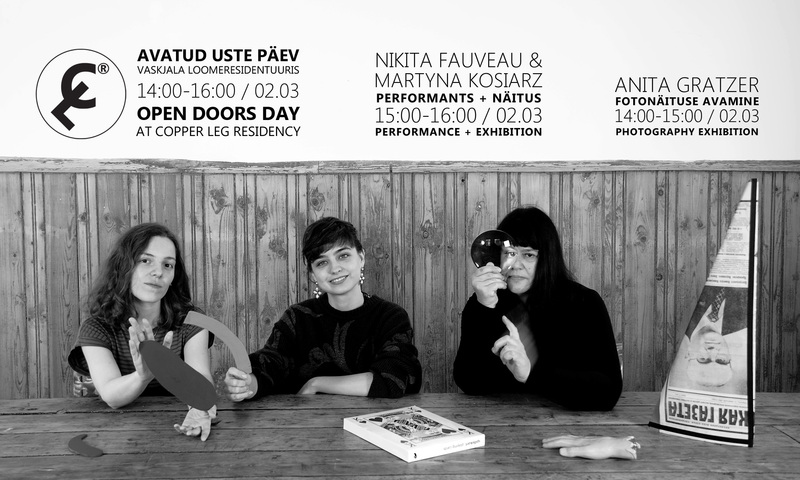 Nikita Fauveau and Martyna Kosiarz are two visual artists based in France (Paris) and Poland (Wroclaw). 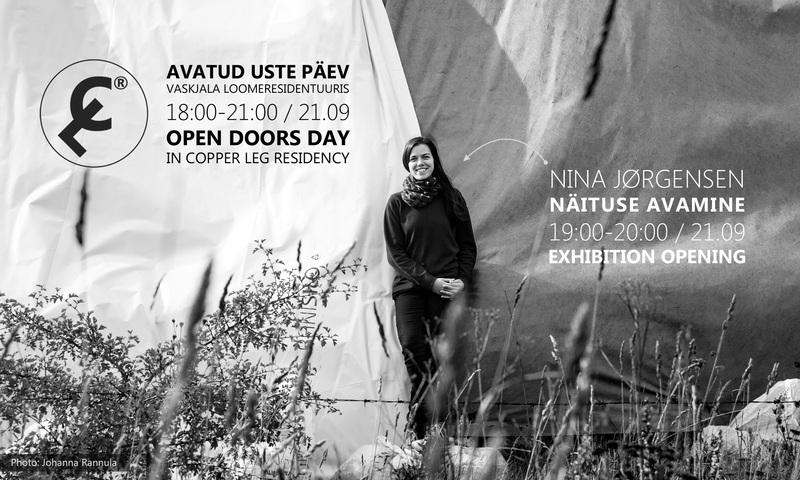 They met during their Erasmus stay at the Estonian Academy of Arts in 2017, and are reunited for the Copper Leg residency as an artist duo. 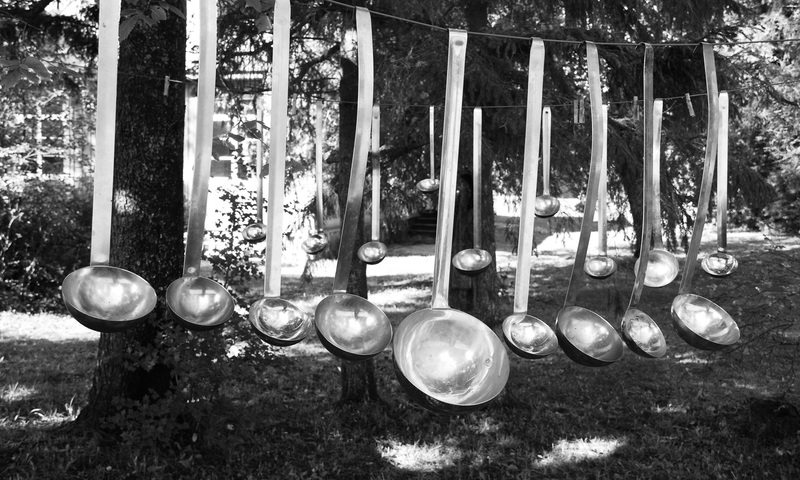 Most of their art practice includes video-, photo- and site-specific installations, drawings, and tiny sculptures. Both focusing on examining their experiences, they are currently leading a research project about the overwhelming feeling of hugging. Hugging in the meaning of tenderness, silent dialogue, (self)care, the all-embracing feeling of warmth. 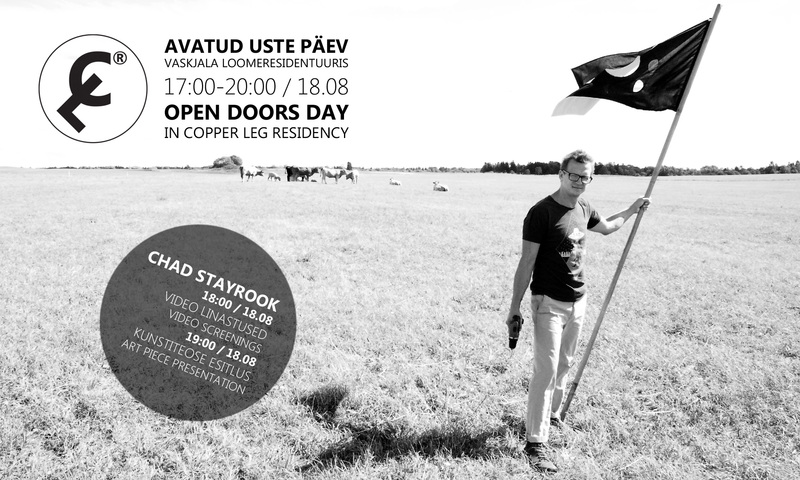 From 16:00 till 20:00, guests can explore the residency space & its doings. 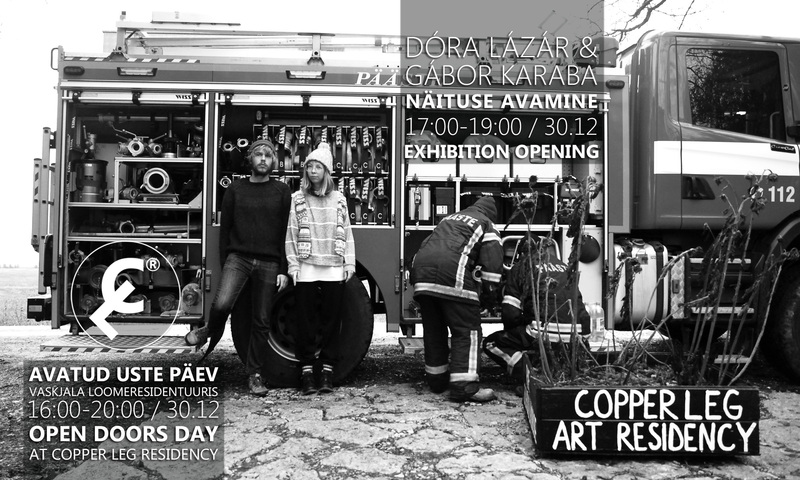 At 17:00, Dóra Lázár and Gábor István Karaba will open their exhibition. The artist duo of Dóra and Gábor came from Budapest, Hungary. On Weekdays Gábor works as an art director and Dóra is teaching students at three different educational institutions, including an art high school and the photography department in a Hungarian university. In their art, they rely on three C’s, the concept, context, and communication, briefly CCC. 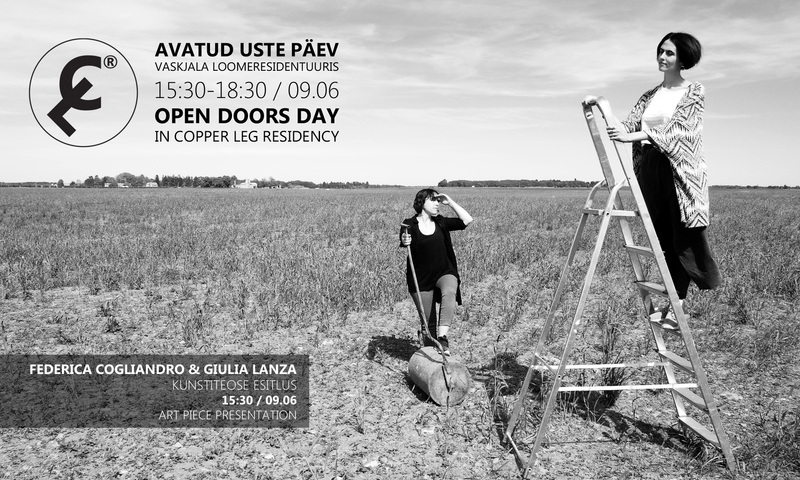 Here, in Copper Leg Art Residency, they search for the bridges connecting analog and digital technologies, working on the boundaries of these approaches. Their goal is to combine old techniques with new ones, by experimenting with a possible symbiosis of photo emulsion and smartphone photography, in addition they are making tests with papier-mâché surfaces and with origami pinhole cameras reflecting on today’s data overload. 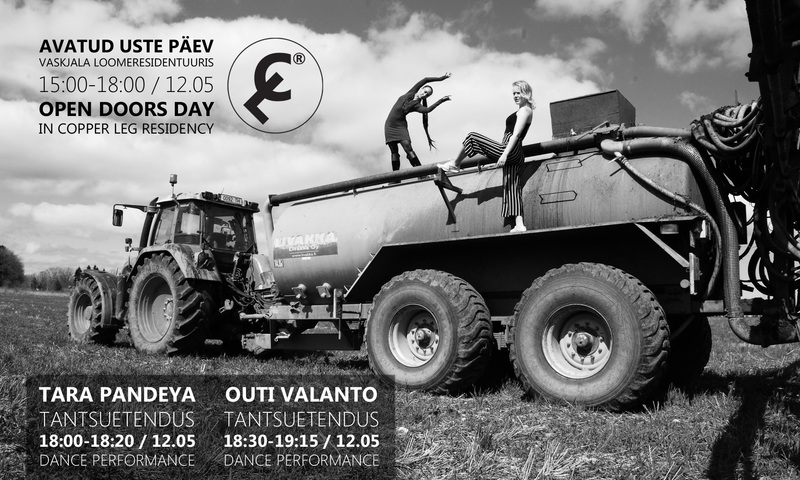 The outcome can be seen when you come to the Open Doors day and the exhibition opening on Sunday, December 30, to the Rae School House (Ussiaugu tee 20, Vaskja village, Rae municipality). Supporters: Rae Parish & Rae Cultural Center. 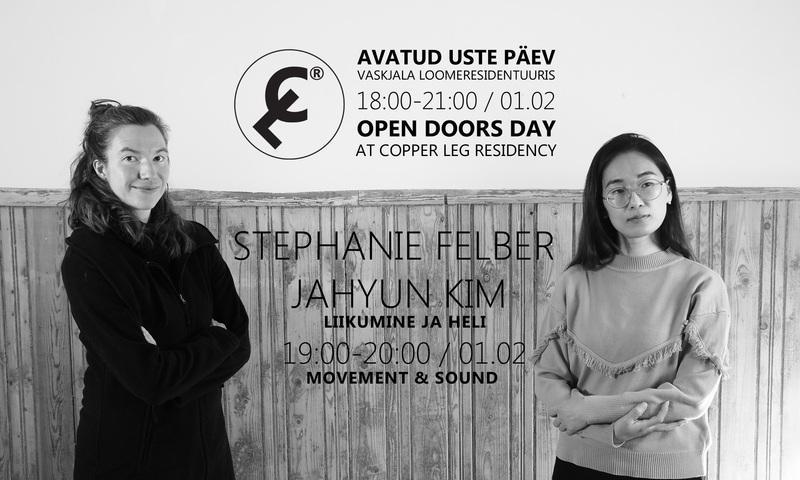 From 18:00 to 21:00, guests can explore the residency space & its doings. 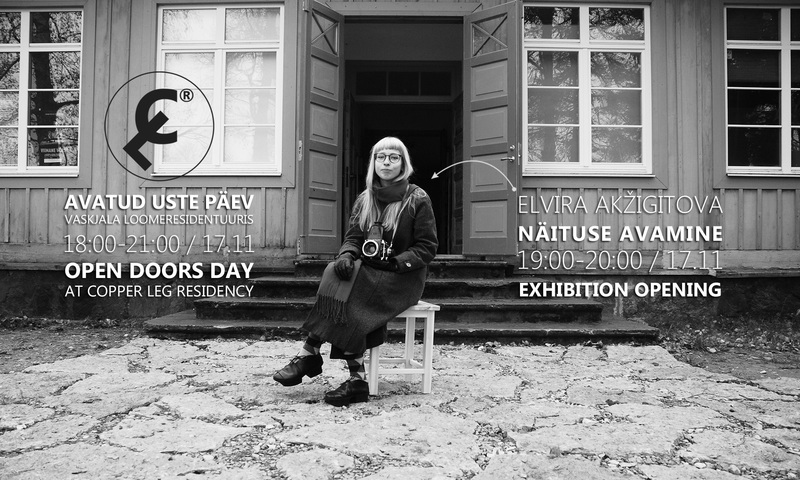 At 19.00, we will open an exhibition of our new resident Elvira Akzhigitova. Elvira is a photo artist who was born in Tallinn, Estonia, but lives and works in Berlin, Germany. In her work, she focuses mainly on analog photography techniques, experimenting with the magical properties of light-sensitive material in the darkroom. On her exhibition, you can see luminograms and electric photos made during her stay at Copper Leg Art Residency.